Out of all the features that WhatsApp has rolled out over the years, the ‘Delete For Everyone’ feature is probably one of the best that they have come up with in the recent past. There were a plethora of users who sometimes regretted sending an embarrassing message to a chat or sending the right message but to the wrong chat. 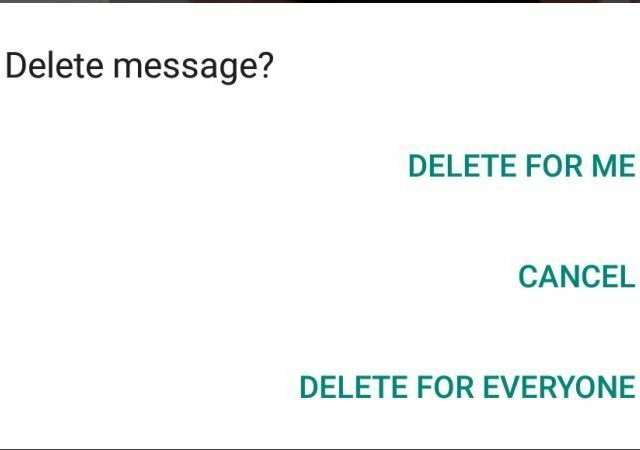 With the ‘Delete For Everyone’ feature, users now have an option to delete an already sent message from a WhatsApp chat given the fact that it hasn’t been read before you delete and that too in between the limited time that the instant-messaging app, owned by Facebook, offers. For the unknown, it used to be the case that a user could delete messages from his side of the WhatsApp chat, however, this wouldn’t get rid of it on other people’s accounts, which means the embarrassing spelling mistakes (or worse) could be present on the other side forever. That said, everything changed for the better with the ‘Delete For Everyone’ button which gave WhatsApp users a window to amend their mistakes. This feature works on both Android and iOS platforms and follows the same suit for an individual as well as group chats. Using this feature, a user can remove a message that he or she might have sent, accidentally or not, from a WhatsApp chat within 7 minutes of sending it. However, the time limit has also been increased by the company and now the app gives you around 68 minutes in which you can use the ‘Delete For Everyone’ feature after sending a message to a particular chat. Everything said and done, there are many WhatsApp users who aren’t either aware of the ‘Delete for Everyone’ feature or don’t know how to use it. For them, here is a guide which will educate you enough on how to delete messages for everyone on WhatsApp. In order to successfully delete messages for everyone, both you and your recipient must have the latest version of WhatsApp for Android, Windows Phone or iPhone otherwise, this feature will not be supported. Recipients might see your message before it’s deleted or in case the deletion was not successful. You will not be notified in case deleting for everyone was not successful. Apart from ‘Delete for Everyone’ feature, WhatsApp also has the regular delete option, called Delete for Me. This feature allows users to delete messages that they’ve sent or received on WhatsApp from their device. However, there will be no effect on the recipients’ chats.